Looking for Domestic Home Heating Oil in the North West? 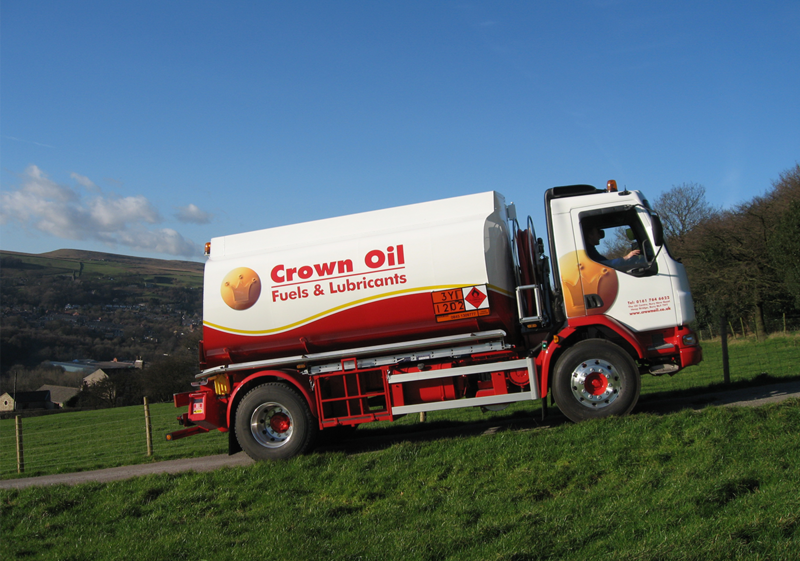 Here at Crown Oil, we have been supplying fuels and oils to homes and businesses across the North West for over 70 years. If your home is heated by heating oil and you’re looking for a reputable supplier within the North West, talk to our friendly team here at Crown Oil today. During our many years of supplying our range of fuels and oils, we have built up an unrivalled reputation within the North West for supplying domestic heating oil and across the wider UK supplying industrial heating oil. Give our friendly team a call today on 0845 313 0845 to discuss your home heating oil requirements and to request a quote. If you need to buy heating oil for a business or organisation, we also supply industrial heating oil (IHO) which will be more suitable for your requirements. Nobody likes to wake up on a cold winters morning to a cold house, so it’s always advisable to monitor your heating oil levels in your oil storage tank on a regular basis. Of course, some people may wait until their tanks are close to empty before ordering. But our advice is, always ensure your tanks are never left to run dry. They must be kept topped up with enough heating oil to last at least as long as the longest waiting time for delivery. If you’d like to call and discuss your heating oil requirements with one of our friendly team or to request a quote. Give us a call today on 0845 313 0845 today. 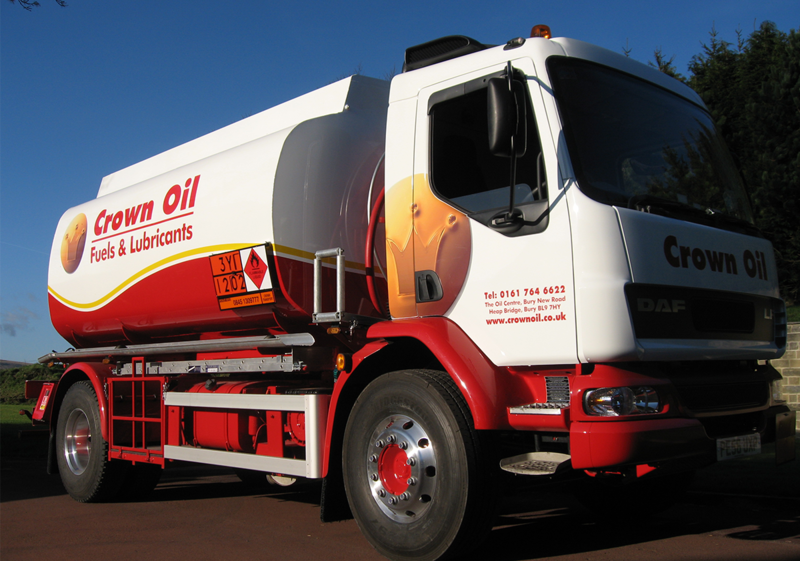 Crown Oil is a local heating oil supplier based in Bury, Lancashire, able to cover the North West area of England. 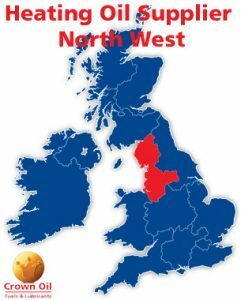 So if your property is located within the North West, we’d be happy to help by supplying your home with heating oil. We can arrange to deliver to your home in the North West region in as little as 24-48 hours. For anybody not connected to the mains gas supply, buying and storing heating oil on their property in order to heat their homes is a popular alternative. If you’ve recently moved into a property which is heated by heating oil, finding a reliable supplier of heating oil who can offer you competitive pricing should be high on your list of priorities. If you’d like to order heating oil, we can supply your home with anywhere from 500-litres up to 36’500-litres. To discuss your requirements, call us today on 0845 313 0845. Why buy domestic home heating oil from Crown Oil? Crown Oil is a family run business that has been in operation for over 70 years providing that personal touch to homes and businesses across the North West. 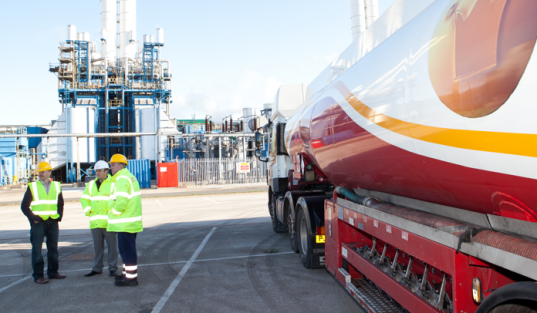 Our heritage and knowledge of this industry has enabled us to become one of the largest fuel companies within the UK. Below left is a photo of one of the earliest heating oil trucks and the image below right is a photo of one of the modern fuel trucks delivering heating oil to customers today. We have been keeping homes warm across the North West for over 70 years, with high levels of customer service combined with our local knowledge and competitive prices enabling us to become one of the leading suppliers of domestic heating oil in the North West. We will always strive to exceed our customers’ expectations, so you can be sure we will always listen to your needs and ensure you, our valued customers receive the same high-quality fuels and service each and every time you place an order. If you would like to discuss your requirements with us and request a quote. Give our friendly team a call today on 0845 313 0845 to learn more. And another reason for choosing Crown Oil for those who wish to purchase from companies with greener credentials. We’re also an environmentally responsible business, with all of our fuel and oil deliveries being offset using carbon credits. If you still have any more questions, or would like to call and discuss your heating oil requirements. You can do so by giving our friendly and knowledgeable team a call on 0845 313 0845. Alternatively, fill in the quote form on this page.